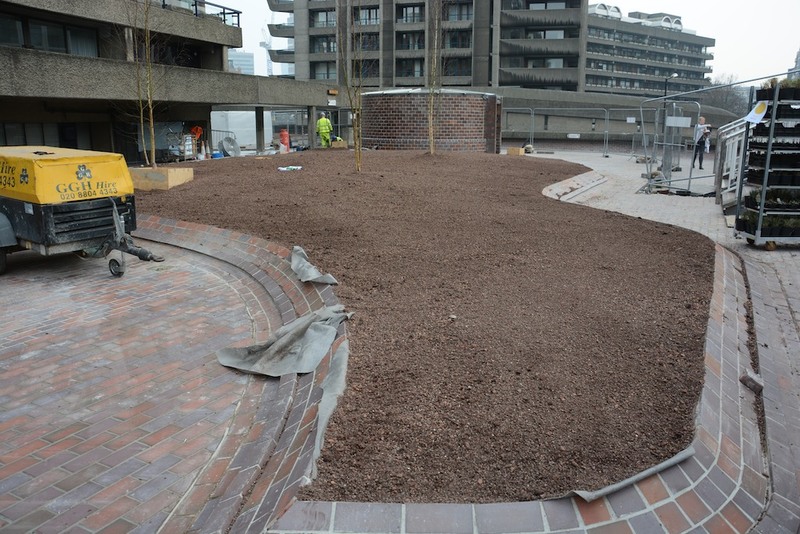 The planted areas of Beech Gardens at The Barbican all use a standard green roof build up. Above the roof waterproofing layer there is a modular drainage sheet that allows excess water to drain from the system, but also acts as a permanent reservoir of water at the base of the gardens. Above this layer sits a filter fleece that lets water through, but which prevents the growing medium from being washed away into the drainage layer. Above the filter fleece is placed the growing medium or substrate, in which the plants are grown. 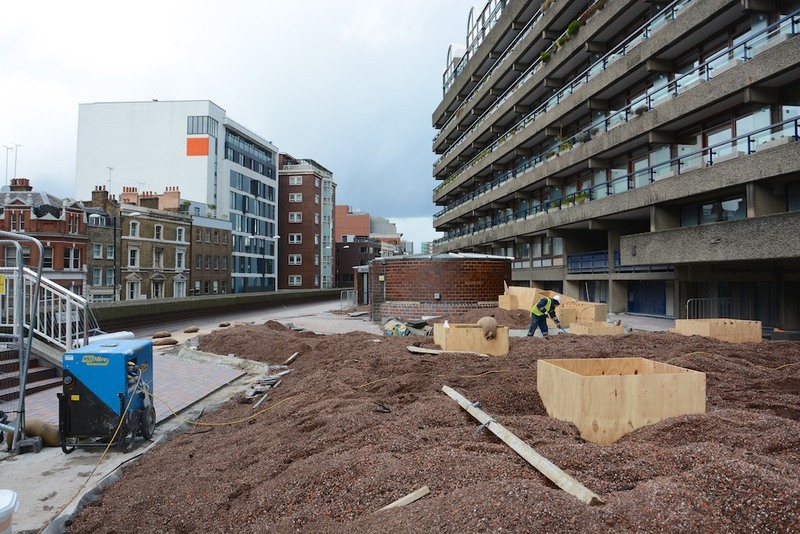 Above: a visual image and a technical section of the green roof build up. 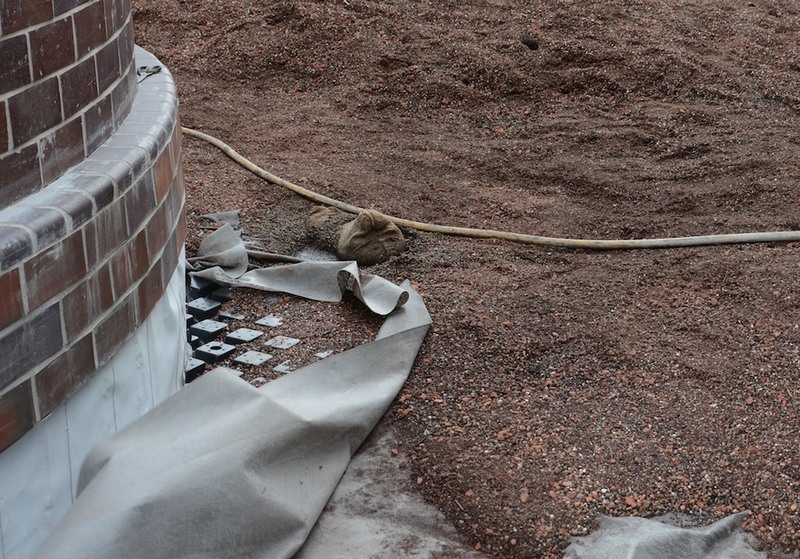 Two types of substrate were used: a ‘semi-intensive’ substrate was used across the site to a depth of 250mm. 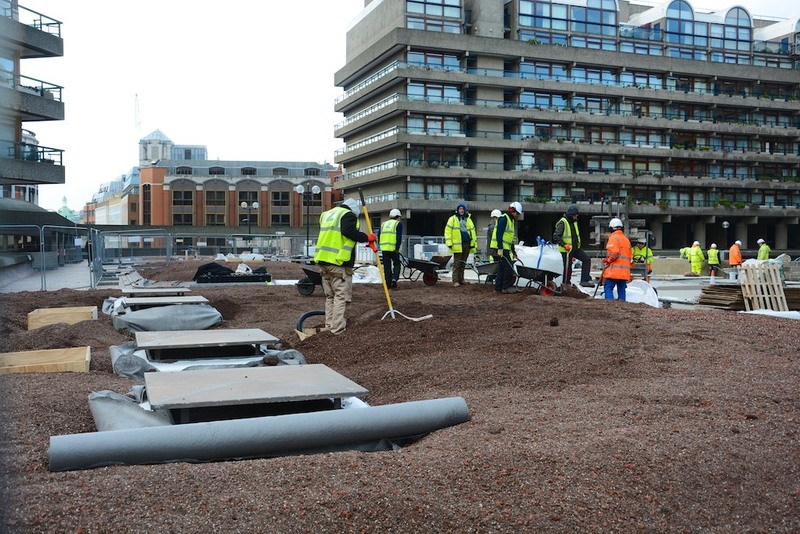 Where the total depth of the growing medium exceed this, then an extensive green roof substrate was used beneath to make up the levels. 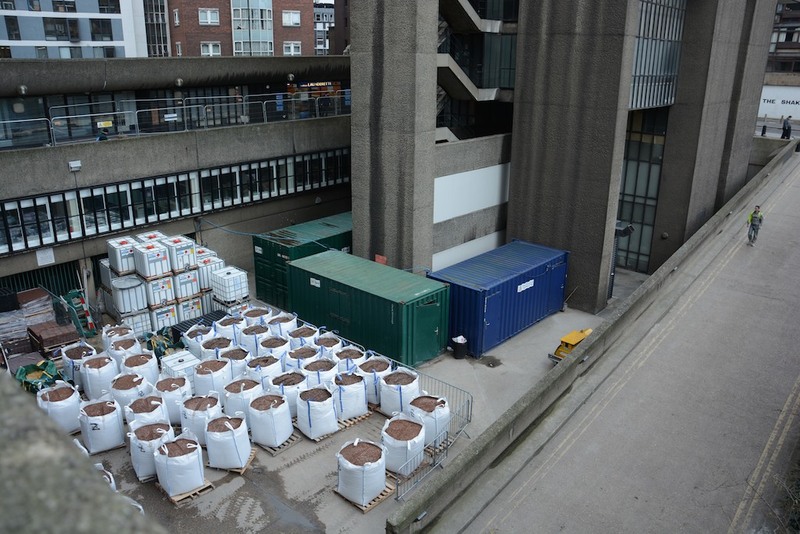 Below: the growing medium was delivered to site in bags, and then the bags were taken by forklift to the site, and the growing medium was then taken to where it was to be used by wheel barrow. Below: the growing medium roughly in position. Wooden boxes or frames protected the positions where lighting bollards were to be fixed after the planting was completed. 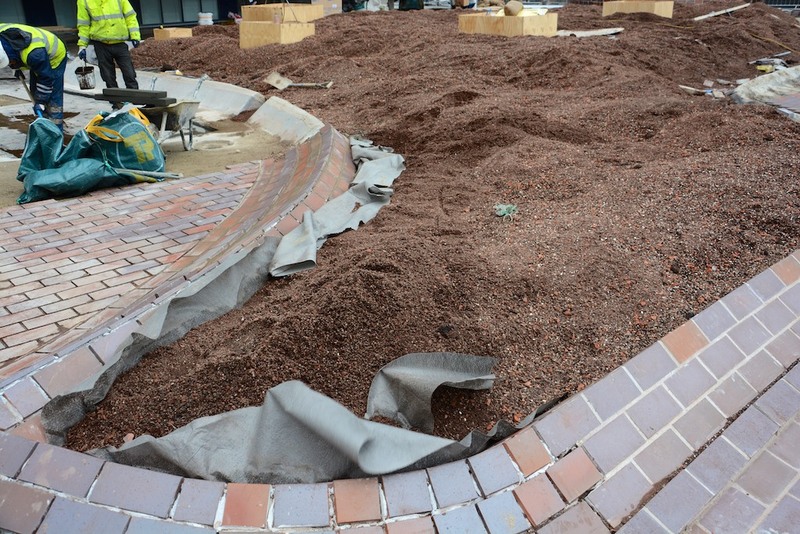 Below: the growing medium was then raked into place to make the final landform, ready for planting.